This is a shower drain with the cover removed. 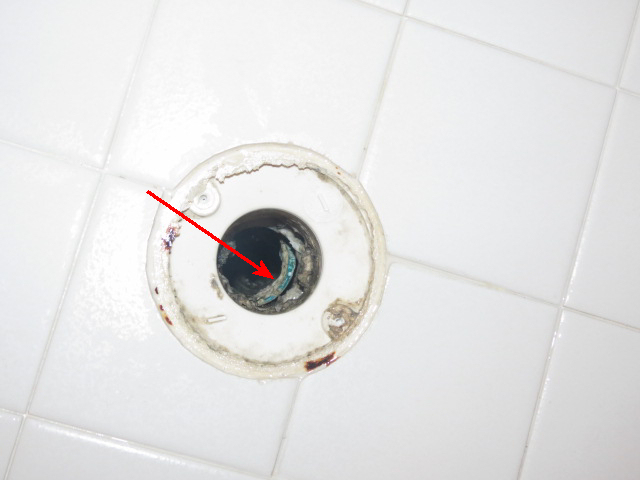 What you see inside of it is the drain pipe that has separated from the drain. Water from the shower is leaking under the foundation which can cause major damage. If this shower has been used regularly and then is no longer used, the soil supporting the foundation will dry and shrink and cracks may appear in the walls and floor. This does not happen right away. It may take months to show up. Cost to repair is estimated at $1,000 to $1,800. This is only if there is no future movement of the foundation. The buyer walked on the deal after the home inspection because of the unknown future costs.